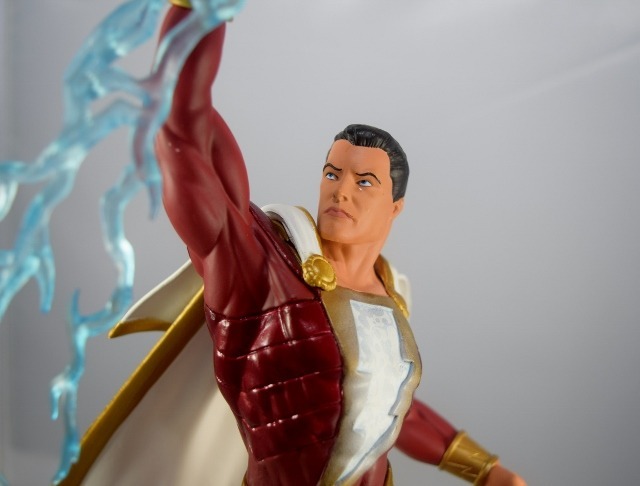 Shazam has hit theatres and the world has been touched by its electrifying magic. 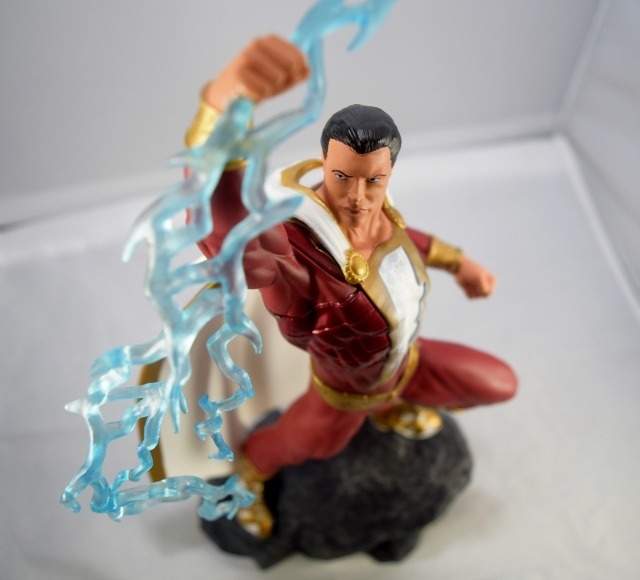 Now that you’ve become a fan of DC’s Champion, its time to bring some of that magic home with Diamond Select’s DC Comic Gallery Shazam Statue. 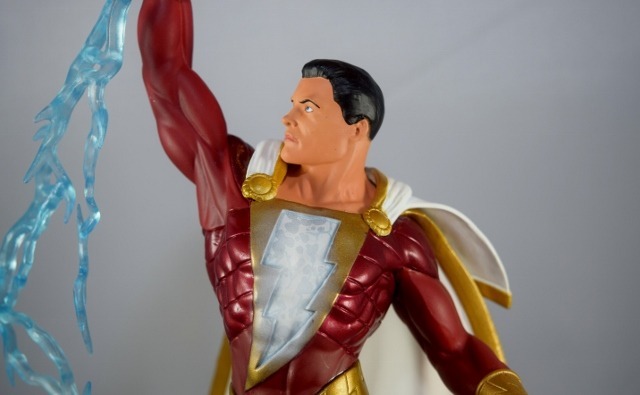 When a mysterious wizard needs to find a pure-hearted champion, teen foster child Billy Batson hears the call and is awarded the powers of SHAZAM. 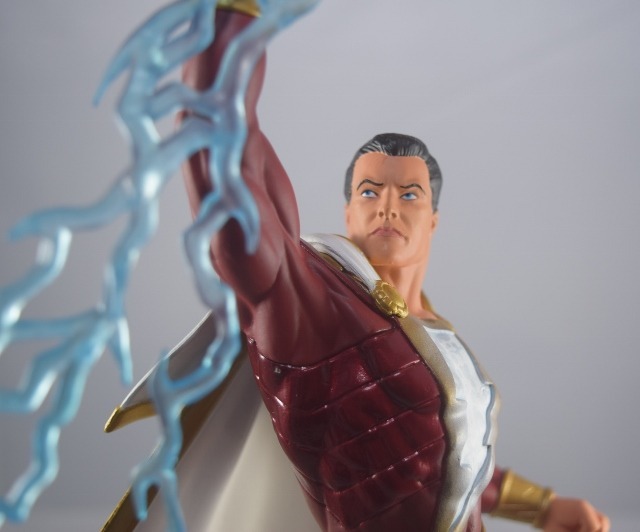 Given the abilities of the Gods, Shazam protects the world from evil magic, scheming caterpillars, and a corrupted former champion. 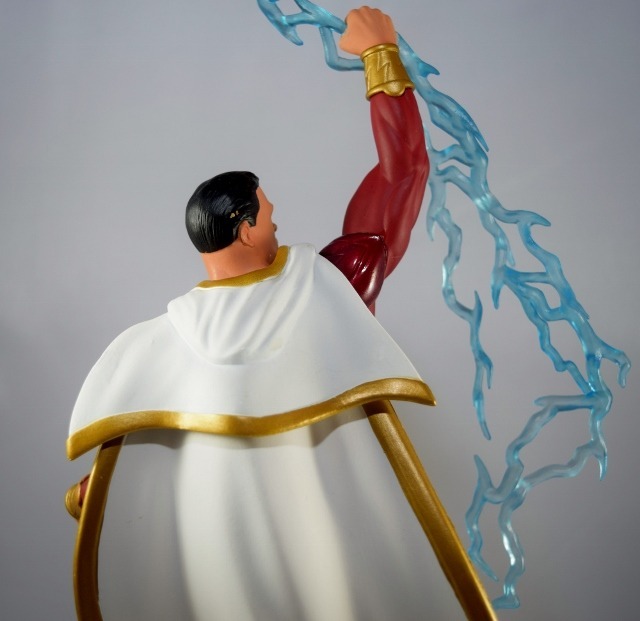 Joe Menna sculpts Shazam based on a dynamic design by Shawn Knapp and featuring our hero in an electrifying dynamic pose. 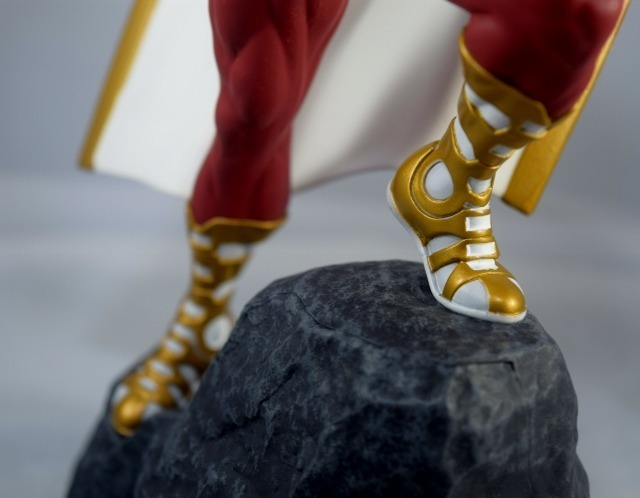 Standing atop a mountain and harnessing the power of Zeus, this statue stands about 11 inches tall and is striking from top to bottom. 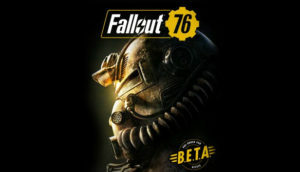 Spoiler Alert!! 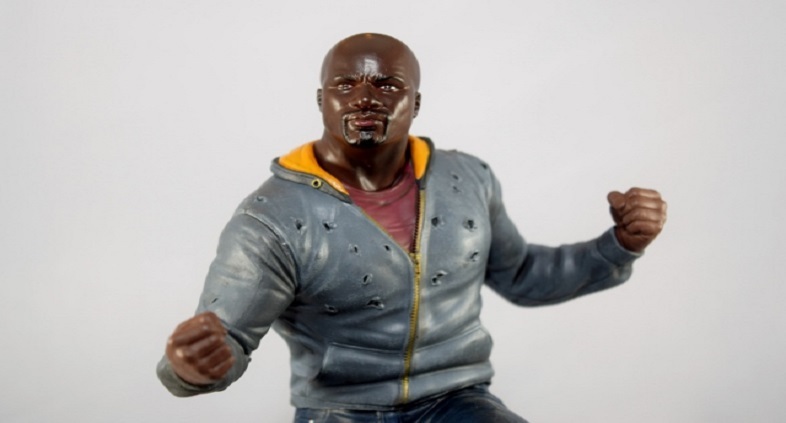 I LOVE THIS STATUE. 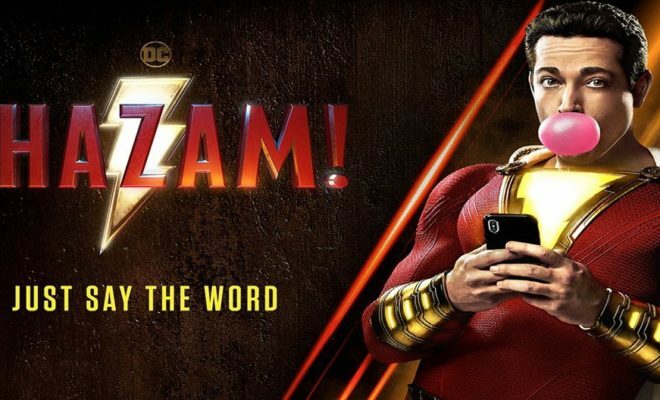 It embodies everything I love about Shazam. 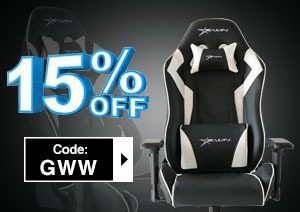 His power, his opulence, devasting good looks, and a mystical glow. 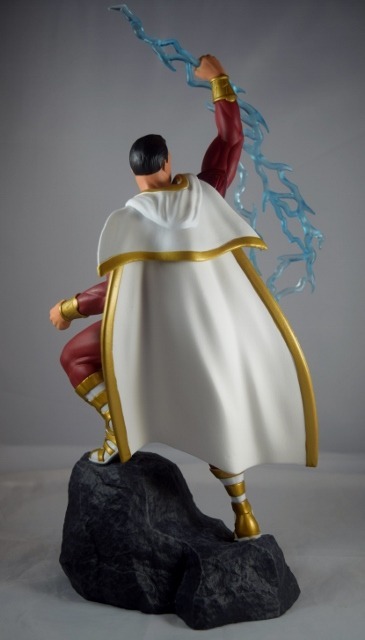 Shazam reaches for the sky, grabbing a bolt of Zeus as he displays not only his power but his full figure stretching to the heavens. 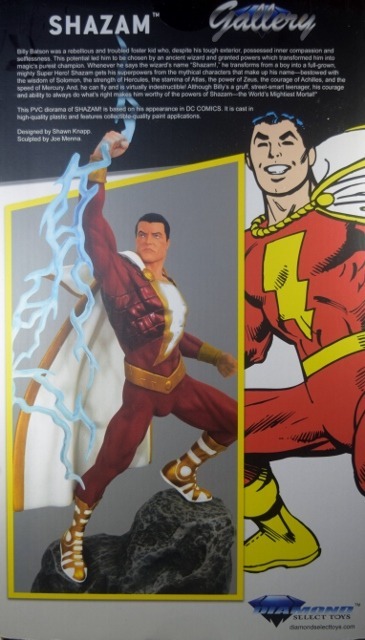 This pose gives us a full open look at Shazam and his over the top costume. 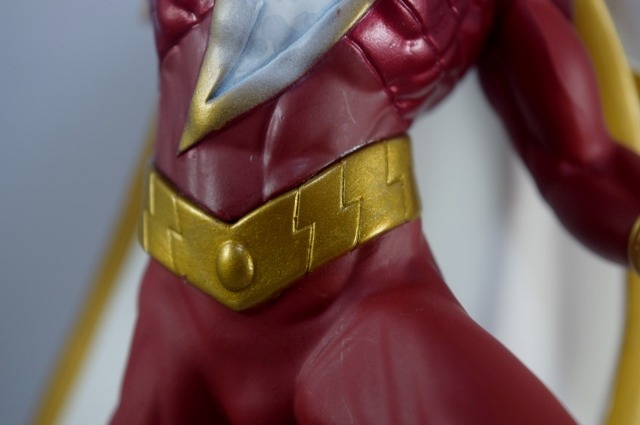 It also gives us a wide open view of his iconic lightning bolt chest piece that features a vibrant paint job that gives the illusion that the bolt it glowing with power. 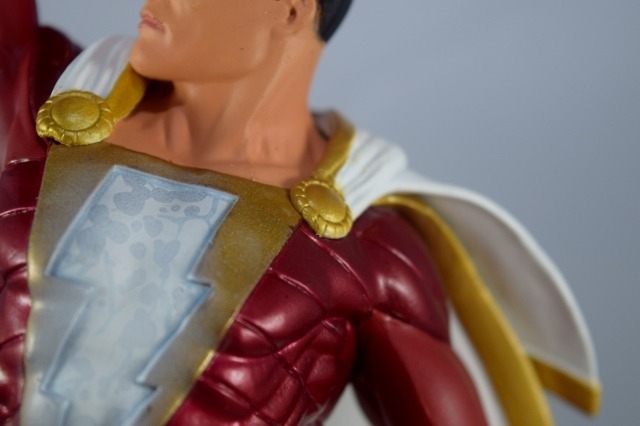 Red, Gold and White dominate this piece and really pop as the different shades and accents bring the suit and Shazam to life. I especially appreciate the contrast between Billy’s suit and the contrast of his piercing blue eyes and jet black hair. 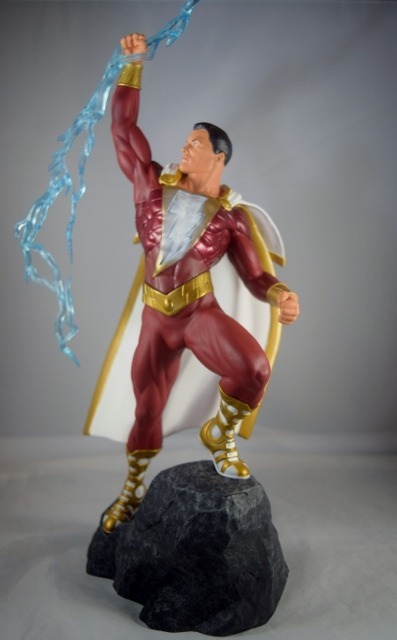 This juxtaposition really gives the statue a classic look and allows each section from top to bottom to have a bright spot. 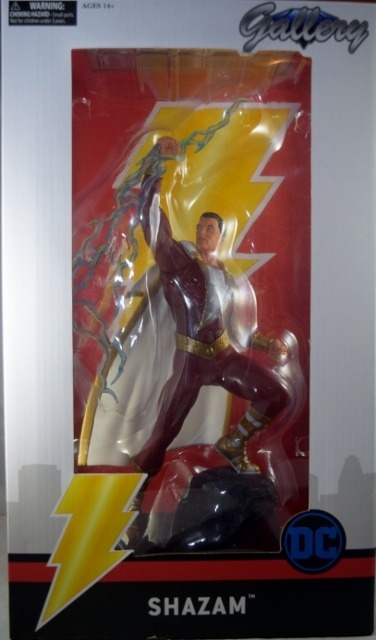 While Billy’s bolt maybe my favorite part of this statue, I am also partial to the white and gold boots and cape. 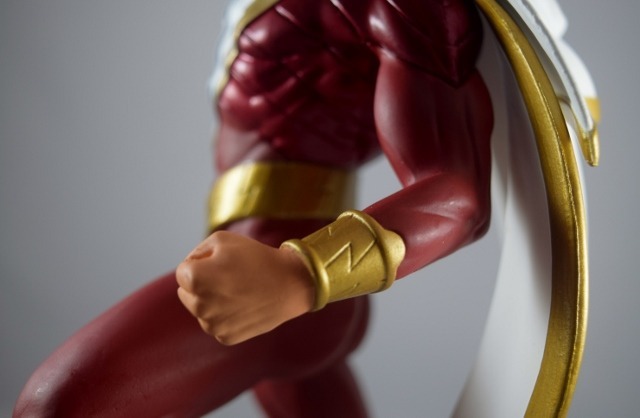 These accessories really bring the whole costume together and give Batson a godlike ora that is visually appropriate for this character. 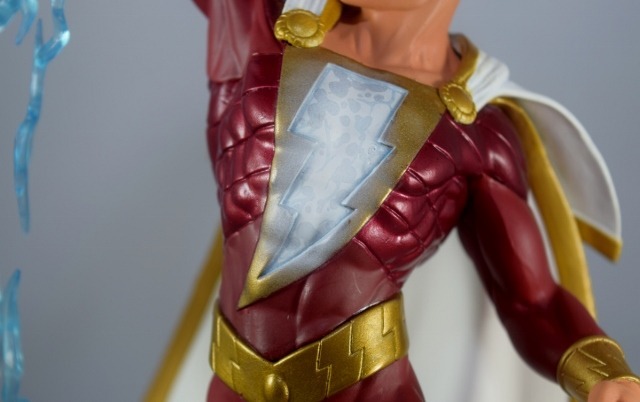 Despite some minor flaws in the paint job where they just missed some spots, this Shazam statue is truly worthy of the Champion moniker. 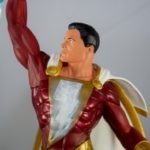 Shazam fans new and old will find a ton of delight in staring at this piece for hours. 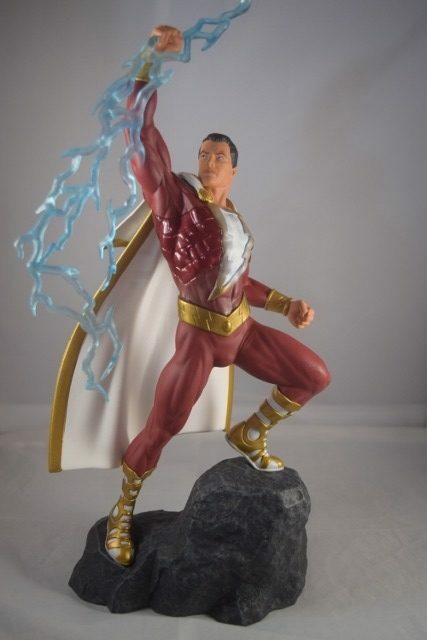 It just pops in the best ways possible and combines the best elements of Shazam to create a statue worthy of your collection. 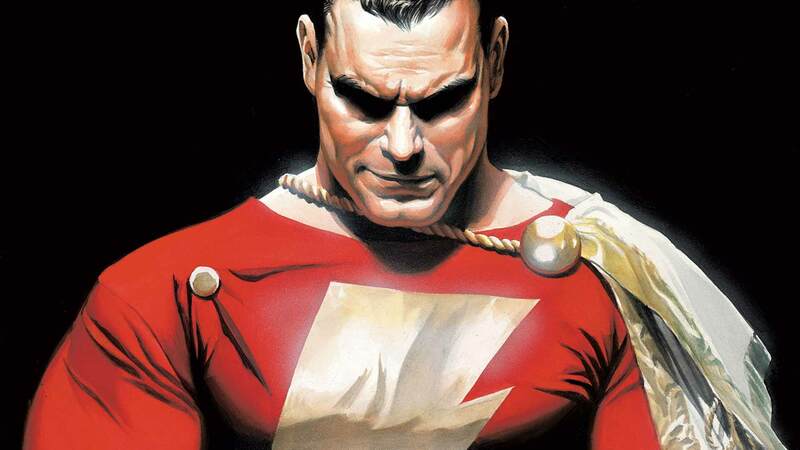 ‘Shazam’ May Come Sooner Than 2019?